Do you represent a Iowa Government Agency and wondering how you should archive all your web and social media content? Are you trying to determine what you need to do both from a legal and a technical point of view? Here’s a guide to the different Laws and processes you should follow. 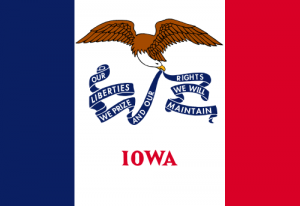 What Laws govern Records Management in Iowa State? Iowa Open Records Law (Iowa Code §22.1 et seq.) and Iowa Open Meetings Law (Iowa Code §21.1 et seq.) regulate social media and Open Records law in the State of Iowa. Do Iowa State Records Laws include Website and Social Media content? Yes they do, and the relevant metadata is also pertinent to these laws. Agency websites are bound by the same provisions, preservation and destruction schedules as paper documents. Iowa Public Records Laws provide for the preservation and production of public records by the relevant agencies, and regulated access for the public to these records, including online and social media content. The scope of these provisions applies to records held by public officers in their official capacities, regardless of origin. Howard v. Des Moines Register & Tribune Co., 283 N.W.2d 289 (Iowa 1979), cert. denied, 445 U.S. 904, 100 S. Ct. 1081, 63 L.Ed.2d 320 (1980). The “lawful custodian” of records (the government body currently in physical possession of the public record), subject to Chapter 22 of the Iowa code must preserve, record and prominently make available for inspection and copying state records to the public, limiting to any comprehensible writing created and/or archived by a relevant agency as an appropriate method by which the body or official discharges a public duty. (State v. Barnholtz, 613 N.W.2d 218 (Iowa 2000)). Electronic public record shall be made available in a format useable with commonly available data processing or database management software (HTML, CSS, PDF etc.). (22.3A Iowa Code).